City Lodge Hotel at O.R Tambo International Airport is conveniently located right at the Johannesburg airport, allowing weary travellers to rest their heads after a long flight. The spacious, en-suite rooms offer a refreshing refuge in which to unwind stiff muscles and beat the jetlag before boarding the next plane. Not only can the hotel boast a convenient location, but it also offers guests easy access to all the creature comforts they may need during their stay. Enjoy an abundance of culinary delights, from delicate sushi bites to juicy steaks. Forgot an essential at home? The airport’s retail stores provide what’s needed, with style to boot. A variety of banking facilities ensures all money matters are taken care of without even having to leave the airport. The air conditioned Rooms come with queen or twin-size beds as well as tea and coffee-making facilities, Wi-Fi, an electronic safe and a flat-screen TV. The swimming pool is ideal for a quick dip after a blood-pumping session in the fitness centre, and same-day laundry and dry cleaning services will see you off in clean, fresh clothing, ready for your holiday adventure. Experience a safari adventure of a lifetime. Marvel at the iconic Big 5 and other spectacular wildlife, spend one-on-one time with nature and explore the Delta. Experience the best of South Africa's cities, safaris and spectacular sights before marvelling the majestic Victoria Falls and Botswana's vast river labyrinth. 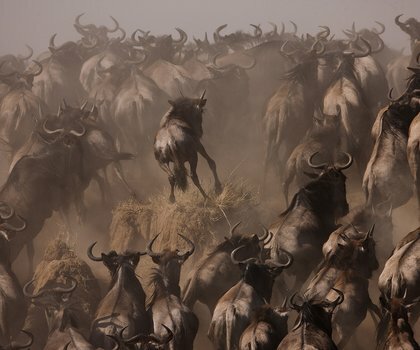 Iconic locations await travellers eager to experience East Africa's abundant beauty. From action-packed safaris to unblemished beaches, experience the best of Tanzania. Beauty exists at every turn in the form of vast plains, diverse wildlife & spectacular herds of animals in Kenya & Tanzania. See it all on this East African tour. Get the best of both worlds with this combination holiday featuring Big 5 encounters on a Kruger safari and a sun-soaked island escape. Self-drive through South Africa's gems. Begin with encounters with the Big 5 and make your way to the mighty Table Mountain and end on the Garden Route coast. Enquire now and a Travel expert will get back to you within 24 hours. Ready to start you your journey? At Rhino Africa, we have wonderful relationships and connections, which enable us to give you the best prices - guaranteed. Our overwhelming love and passion for Africa makes us want to share our first-hand knowledge with you, so join us for tailor-made itineraries and magical moments. Come share our passion for Africa's people and wildlife through Rhino Africa's conservation and community upliftment projects. Nominated as Africa's Leading Safari Company. Vote for us in the 2019 World Travel Awards. Through our volume and direct relationships, we will ensure that you never pay more than you should. We’re so confident that if you manage to somehow find the same holiday for less, we'll beat it. We’ve slept in the beds, tasted the food, met the people and seen the wildlife. Then we went back and did it all again, just to be sure. We’ll keep on going back to ensure that what we recommend is perfect for you. We pride ourselves on being the authority on African travel. We want only the best for the place we call home, and that’s why are devoted to conservation and community upliftment. Join us, and leave your legacy in Africa. We are a Southern Africa Tourism Services Association (SATSA) affiliated and bonded company, completing the circle of a one-stop travel shop to Africa. We are also members of African Travel and Tourism Association (ATTA), which is Europe’s largest trade association promoting Africa. For five years running we’ve been awarded the title of Africa’s Leading Safari Company by the World Travel Awards, the Oscars of the travel industry. Ladies and gentlemen, you're dealing with the King of this Jungle! We are the only tour operator in Africa to provide complimentary financial protection. This means that should anything go wrong you can rest assured that we have you covered. It’s included in each booking and is completely free of charge. We have direct relationships with over 1,500 suppliers across Africa. Based in spectacular Cape Town, we’re on the ground which allows us to cut out agents and the middlemen, delivering you the best pricing possible. 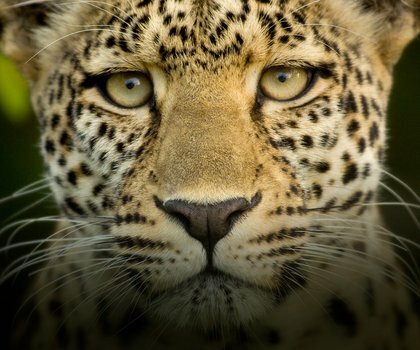 Our itineraries are like the spots on a leopard’s coat - each one is different. We’ll tailor-make your trip to suit your individual needs rather than simply asking you to choose. Through this we create your dream trip. The InterContinental Johannesburg O.R. Tambo Airport Hotel offers luxury and spacious rooms, a health spa offering a range of treatments, rooftop pool with great views of the city and top-class wining and dining. And, being a short walk away from O.R. Tambo Airport, it could not be more convenient! Luxury accommodation and Roman-inspired style combine to create an ambience and an atmosphere you won't soon forget at the Peermont D’oreale Grande Hotel at Emperors Palace. With 196 beautifully appointed rooms and suites, tranquil garden and pool area and a variety of entertainment opportunities all nearby, there is something for everyone. Get more than you bargained for when overnighting or choose to spend a few days enjoying everything Peermont Metcourt Suites at Emperors Palace has to offer. A stay at this entertainment mecca will have visitors feeling as if they stepped off the plane in Johannesburg – and walked into Las Vegas. Tucked away in the quiet suburb of Kempton Park and a 15min drive from O.R. Tambo International Airport, African Rock Hotel offers convenience, comfort and exclusivity with just nine luxury guestrooms available. It's ideal accommodation for a layover as well as for a longer stay in South Africa’s "City of Gold". A visit to Johannesburg becomes much more than just a stopover when staying at the homely Outlook Lodge. With airport transfers and tours around the city available on request and the added conveniences of a golf course, gym, bird sanctuary and O.R. Tambo International Airport nearby, what more could guests ask for? Explorations in Africa as seen in times long past, are now yours to experience. 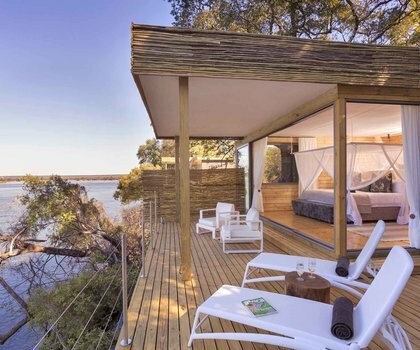 Tanda Tula Field Camp in the Timbavati Private Nature Reserve presents the quintessential ‘explorer’ camp, with eco-friendly accommodation and an enthusiasm for walking safaris. Get up close to nature like never before.